Electrofocus is the annual inter-collegiate National level technical Symposium organized by the Electronics Engineers Association of Madras Institute of Technology. 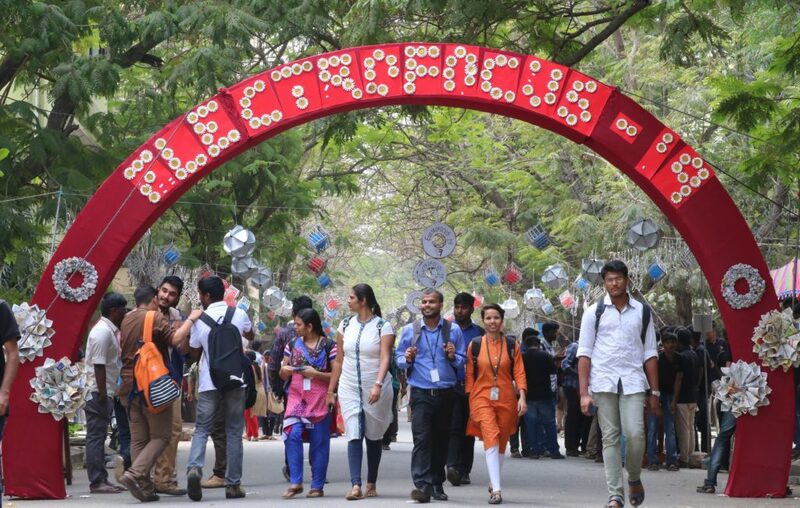 This year, Electrofocus’19, spanned over three days from Jan 31 to Feb 2, hosting a plethora of events for students of electronics as well as other streams along with numerous workshops to gear up the students for this futuristic world, living up to its tagline “to invent and inspire”. The events comprised of both technical and non-technical genres to cater to students with different fields of interest. Day 1 of Electrofocus’19 started with great pomp and excitement. Students from various colleges arrived at the venue to be a part of this majestic event. 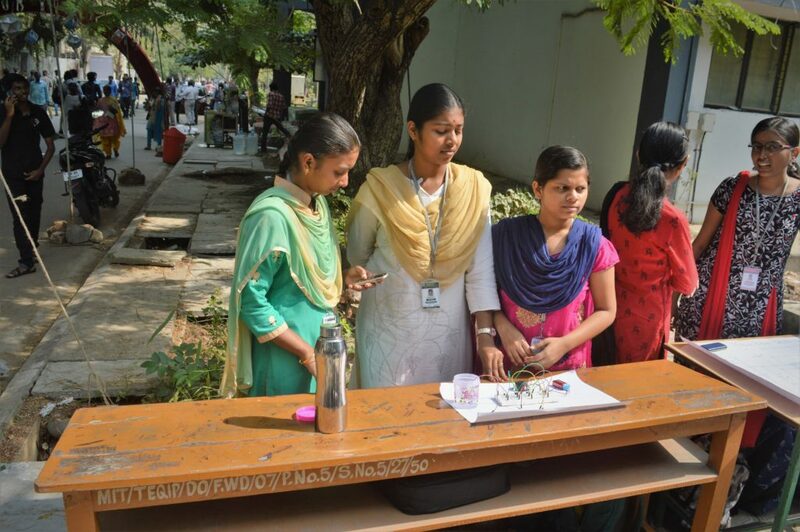 “Hope circuit”, which was an event held exclusively for MIT’s first years, kindled their interest and helped the budding engineers by giving them a platform to showcase their abilities. The smartphone photography event kept the shutterbugs busy and also gave them a platform to share their perspective of the picturesque world around us. Many students have their own ideas and opinions or some much-needed improvements regarding today’s technology and Electrofocus’ paper presentation event enabled them to express their views. The Mega Event, which sported a prize of an iPad saw a large participation. This event tested the participants across different criteria, with rounds ranging from a general quiz to group discussions. By dusk, the participants were honored for their performance and the events for the day came to a successful end. Day 2 of Electrofocus ’19 saw the continuation of the various events which had begun on Day 1. Participants seemed to be even more pumped up and were enthusiastically looking forward to the events scheduled for the day after an action-packed Day 1. The subsequent and final rounds for various technical events like C-struck, Digitrix and Liaise the Link and non-technical events such as Connexions, TV quiz and IPL auction were conducted, keeping everyone right from tech geeks to sports fanatics occupied. The gamers could be seen occupied with intense games of FIFA at the gaming kiosk too! 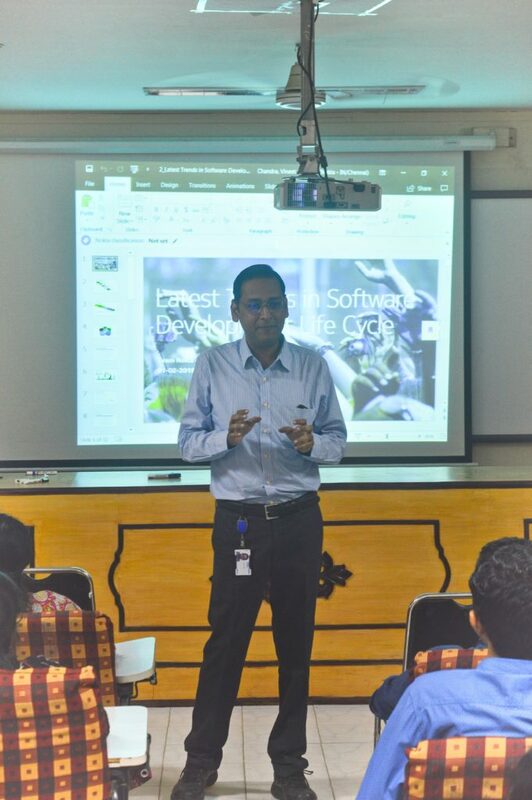 A few workshops, such as a 5G workshop by NOKIA and a hands-on workshop on the hot topics of Machine Learning & Artificial Intelligence, were also scheduled for the day and saw the participation of a good number of students. Participants could also be seen grabbing a quick bite at the various food stalls put up along the MIT Road. By the end of the day, Electrofocus ’19 seemed to have exceeded the expectations of all and left everyone eager for the final day. The 3rd day of the symposium commenced with the buzzing students participating in the final rounds of the technical and non-technical events. The technical events for the day included Project Display, Robotics and a couple of hands-on workshops. The project display was an amazing avenue for the budding students to showcase their innovative projects. 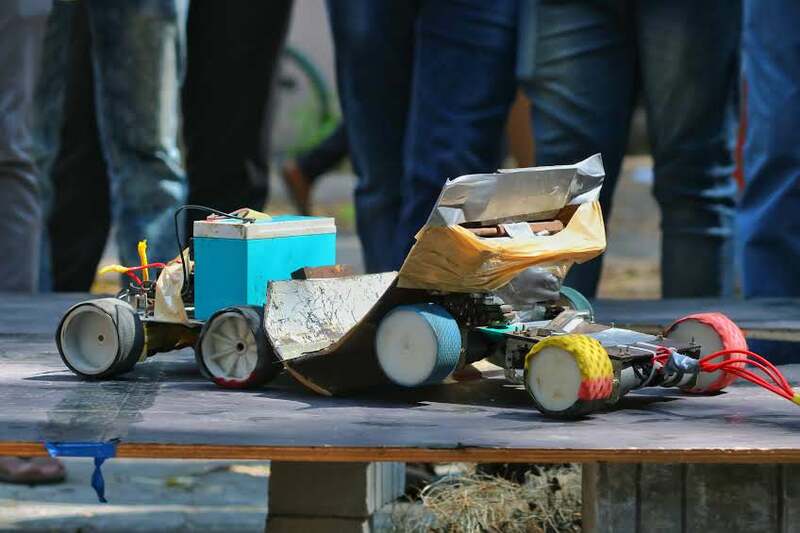 The Robotics event saw some really cool and interesting robots such as all-terrain robots, line-tracers and much more. On the non-technical side, the final rounds of Sherlock, Connexions and IPL auction were conducted, and the prizes were given away to the respective winners. The workshops for the day included a hands-on workshop on IoT, Robo-duino and “I am Hacker”, a workshop organized by Brisk InfoSec. These workshops attracted a large number of participants. A workshop on the tech involved in a “Self-driving car” was also conducted by DXC Technology, shoving the path for the students to gain insight regarding the technology of the future. Here’s a small write up on “Hope Circuit”, an event organized specifically for the first year students of MIT. Hope Circuit was held on Jan 31, from 10 AM to 4 PM. It was a pleasant day by the end of January, the entire fest had just begun with this event, with lots of innovative participants. The event, which was exclusively planned for first years, achieved its goal of innovative outcome. About 15 teams of 3 students each, participated in the event. The students came up with lots of newfangled ideas and the exhibits were attractive and marvelous . The demonstrations by the participants and the spectators including the faculty members, were greatly impressed by their performance. There were a number of working models on display such as Double Circulation , Ardiuno Piano, Burglar’s alarm, Temperature and Humidity sensor and even home automation ideas! The event was attended by lots of students from all around the city. The event held up its motive as a base for knowledge and learning. Each and every participant was awarded with a participation certificate and the winners were awarded with exciting coupons and offers! It was great to watch how the seniors came down to help the juniors, no matter what colour they wore around their neck. The event provided a platform for the budding students to express their creativity and gain confidence! The end of all the events marked the beginning of the much-anticipated alumni meet. The meet took place in the place where memories are made, our very own hangar. 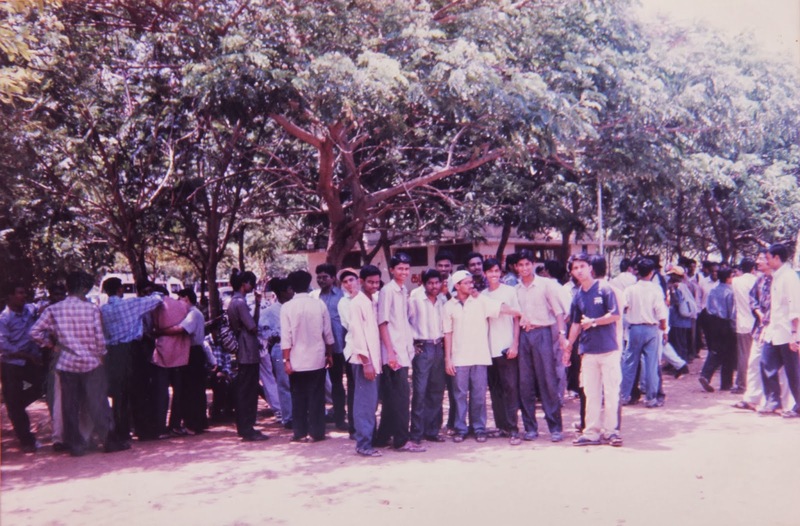 The students could be seen eagerly waiting to meet their seniors. The alumni had a pleasant evening, walking down the memory lane, reminiscing the beautiful memories made during their time at MIT. They shared their experiences with their juniors and also shared a few light-hearted moments with their old mates. The meet ended with a scrumptious dinner. Overall, Electrofocus’19 had proven to be a grand success, serving as a great platform to many budding engineers while delivering them three days of endless fun. Written by: Pranav Balakrishnan, First year, ECE, Sai Rushan, First Year, ECE, B.U.Kowsalya, First Year, ECE and Duke Daffin, First Year, ECE. Photographed by: Siva Prasad, Third Year, ECE and Sreekar Sreedhar, Second Year, ECE. This entry was posted in An MITian's voice. Bookmark the permalink. The components used in our hope circuit project are those two sensors and not the title .The title is green house monitoring !!!! நட்புக்கு கூட கற்புகள் உண்டு நல்லா தெரிஞ்சிக்கடா!